This 10 week course has been designed to introduce the complete novice to the basics of ceramics. 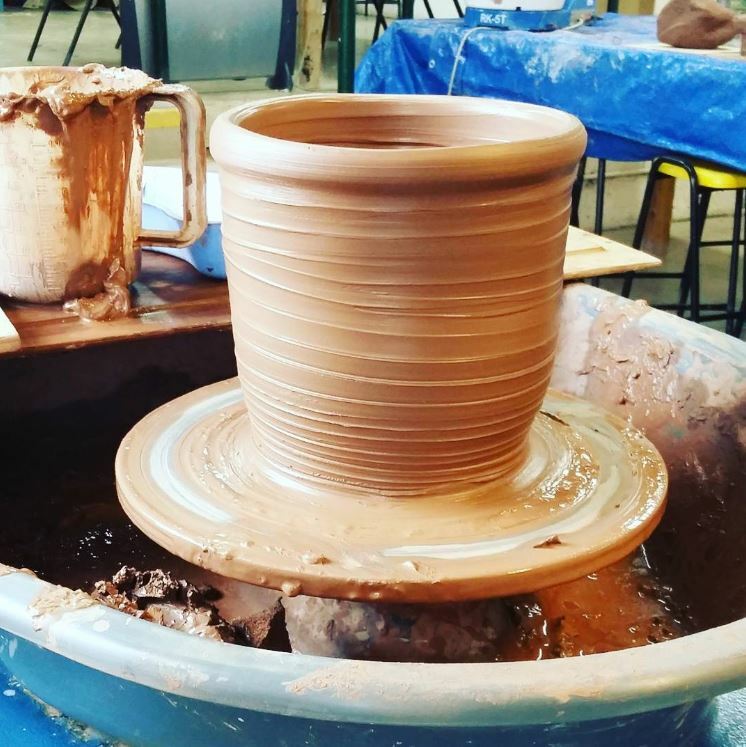 The course will help you develop a number of skills and techniques including pinch pots, coil pots, slab building and of course learning to throw on the pottery wheel. You will also learn how to do sgraffito and glazing. The course is designed to help you explore the potential of clay with the choice of a number of simple projects such as creating a small clock, making a vase and making a ceramic mask. All work will be fired in our professional standard kilns. Throwing on the pottery wheel.